OrangePiel custom printed window shades are easy to both measure and install in your home, office, or commercial project. Don't worry, anyone can do it. 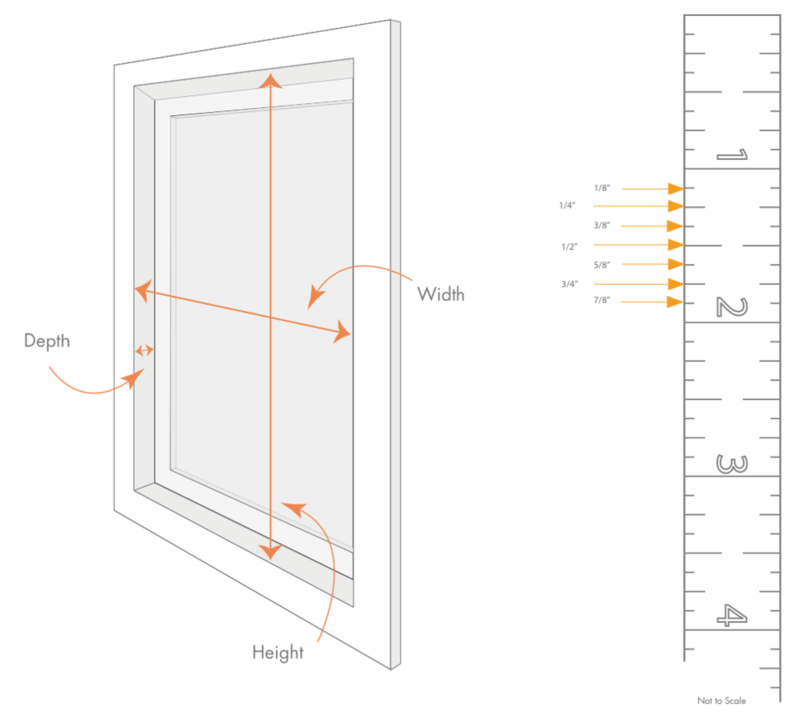 Measure the exact window intended for the treatment. Measure to the nearest 1/8". Do not take any deductions for clearance. OrangePiel will determine necessary deductions. Double check your measurements, precision pays! What is an inside mount shade? 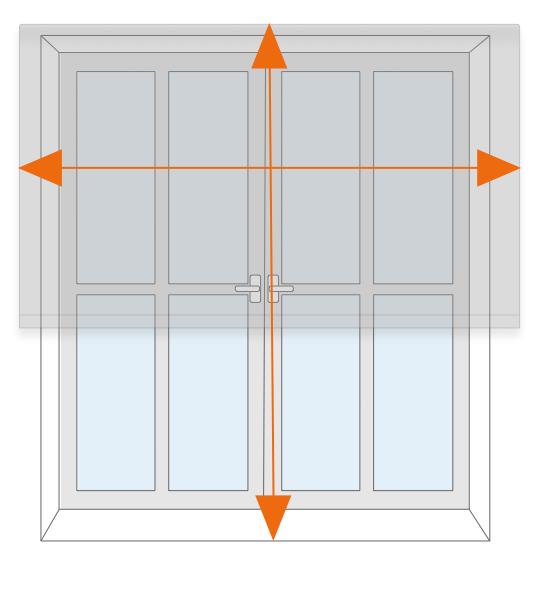 Measure the inside width at the top of the window. This is your ordering width. You will enter this dimension when working an OrangePiel Design Specialist. 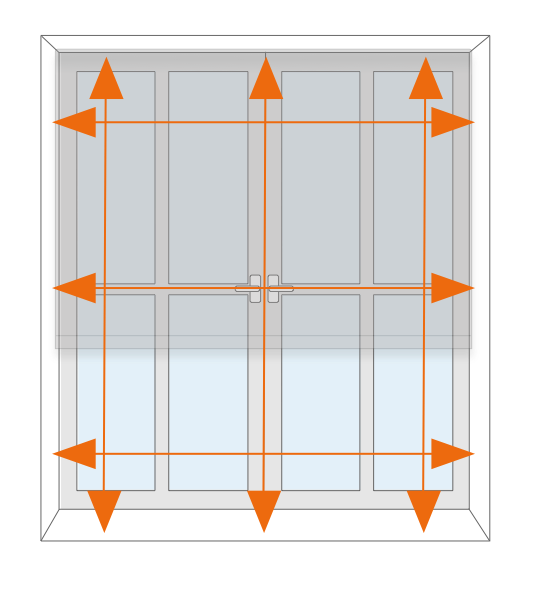 Measure the height at 3 locations - left, middle, and right-side. Record the LARGEST of the 3 measurements. This is your ordering height. 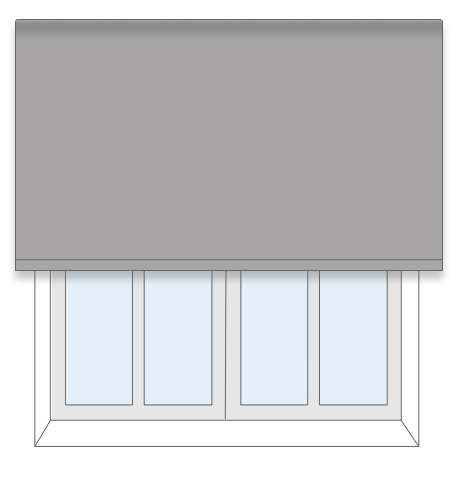 What is an outside mount shade? Shade mounted outside and above window box. Measure the width of the area you wish to cover. (If space allows, we recommend adding about 1.5" to each side to eliminate light seepage.) This is your ordering width. Measure the height of the area you wish to cover. This is your ordering length. NOTE: Your shade will be made 1.25" narrower than the measurement you provide to allow for brackets. If you need your shade to cover a specific width (ie. mounting on a door) add 1.25" to width when ordering.